If our feature plans don't suit your needs, contact us and we will build a plan specially for you. Pay for 12 month subscription in advance and you will receive 2 months for free. Want to host PM Compass on your server? Contact us. When you create a new account, you will automatically receive a 30-day free trial. During the trial period you will be able to use all the PM Compass features available in your selected subscription plan. If PM Compass suits you and your business, you will be able to keep using it after the trial period. You can change your subscription to add more projects and storage, or cancel your account at any time. If you upgrade to a higher plan, you will only be charged the difference in plan prices for the remaining subscription period. You can also downgrade to a lower plan as long as the plan you select is consistent with your current project and storage limits. For example, if you currently use 7GB of storage, you will have to delete 2GB before downgrading to a Silver Plan which only allows 5GB storage. How many users can access my account? No. 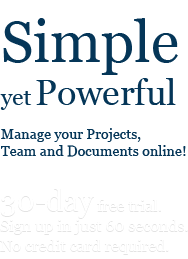 You can use PM Compass during the 30-day free trial without providing any payment information. We will send you an email to remind you about the trial expiration date. You can then decide if you want to keep using PM Compass and how you want to pay. Every PM Compass subscription plan allows you to add an unlimited number of users. Just go to the 'Users' tab in your account and invite as many friends, team members and clients as you need. Currently we accept Visa, Mastercard and PayPal. At this time we only accept payments online so we will not be able to accept a purchase order, invoice you, or take an order over the phone. If you are interested in learning more about PM Compass, please visit the feature description page.